1920s Chicago and Al Capone during Prohibition went together like spaghetti and marinara. Capone had always shown promise: young, brash, intelligent, loyal, and willing to kill (never without reason - Capone's star rose quickly in a town that would have chewed up a lesser man. Prohibition turned organized crime into lucrative business. America was clamoring for respite after the atrocities of World War I. For most, Chicago was a rough city during the Prohibition. 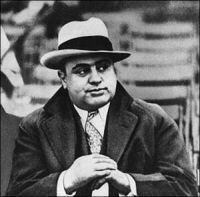 Yet, for others like Capone, there was a fortune to be made for those with the constitution and iron will to grab it. 1921 brought a boom to Chicago's beer production. Capone's boss, Johnny Torrio had a stranglehold on the beer market. In 1921, Chicago had 8 breweries working full-time supplying the thirsty throats of the city's parched. While Torrio controlled most of the South Side, Dion "Deanie" O'Banion owned much of the North-Side of Chicago. O'Banion was loved and respected by his friends and feared by his enemies. It's said that O'Banion had personally killed more than 50 people himself. 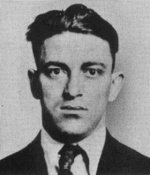 Rounding out O'Banion's North-Side Gang were Earl Wojciechowski (aka Hymie Weiss), George "Bugs" Moran, "Dapper Dan" McCarthy, and O'Banion's favorite Samuel "Nails" Morton (who schooled O'Banion in the social graces of gentleman's fashion, O'Banion turned the dinner jacket into "gangster" high fashion in the 1920's). In the early years of prohibition, none of these men knew how their respective fates would play in the solidification of Al Capone's reputation as a legend. The turning point for Al Capone during Prohibition came in ironic fashion. . .
. . .when Morton and O'Banion went horseback riding one day. Morton was thrown from and kicked in the head by his horse. "Nails" died right in the middle of Chicago's Clarke Street. This seemingly freak accident probably had more to do with the rise of Capone's power than it is given credit for. O'Banion, having lost his right-hand man, was left with some pretty shifty characters waiting in the wings--his gang in those early years was full of young kids between 18 and 23 years old. "Nails" had a calming influence on the impulsive O'Banion and his death left Deany without much rational counsel. Being impulsive yourself and surrounded by impulsive counselors is rarely good for one's decision making. By 1925, eight years before the repeal of Prohibition, O'Banion would be dead and Capone will have taken his throne as the most influential gangster in history. For gangsters, Prohibition was fickle like that. 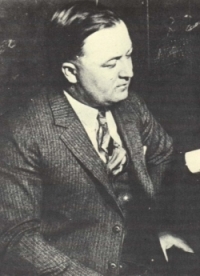 As a result of O'Banion's murder, "Bugs" Moran would try to take his spot and one of the bloodiest battles for Al Capone during Prohibition would ensue.